Sprint confirmed that the HTC Evo 4G LTE has successfully passed customs and may be available soon. A Sprint representative told TechRadar that customers who pre-ordered the HTC Evo 4G LTE can expect to receive their handsets as early as May 24. 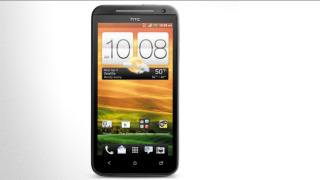 "Sprint expects to begin shipping HTC Evo 4G LTE for arrival on or around Thursday, May 24 to customers who pre-ordered the device online from Sprint," Sprint told TechRadar. However, Sprint would not comment on when customers can expect to see the Android smartphone on store shelves, simply saying that details of a national launch will be announced "as soon as possible." The HTC Evo 4G LTE had a troubled launch with a delay as U.S. customs investigated claims that both it and the HTC One X infringed on Apple's patents. The patent in question is regarding how the smartphone interprets phone numbers and email addresses from emails, websites, and various text, resulting in users able to simply tap on a number or address to dial or send an email. Yesterday, HTC confirmed that some handset models had begun to pass through customs, though it was still unclear which models and in what quantities. The matter of quantity is still unknown, but the number of devices getting through is apparently enough for Sprint to be confident it can fulfill its online pre-orders in the near future. While Sprint's comments allow for some leeway with its May 24 date, the date being confirmed by the company so soon after HTC devices began passing through customs is a good sign that the Evo4G LTE's launch ordeal may finally be drawing to a close.